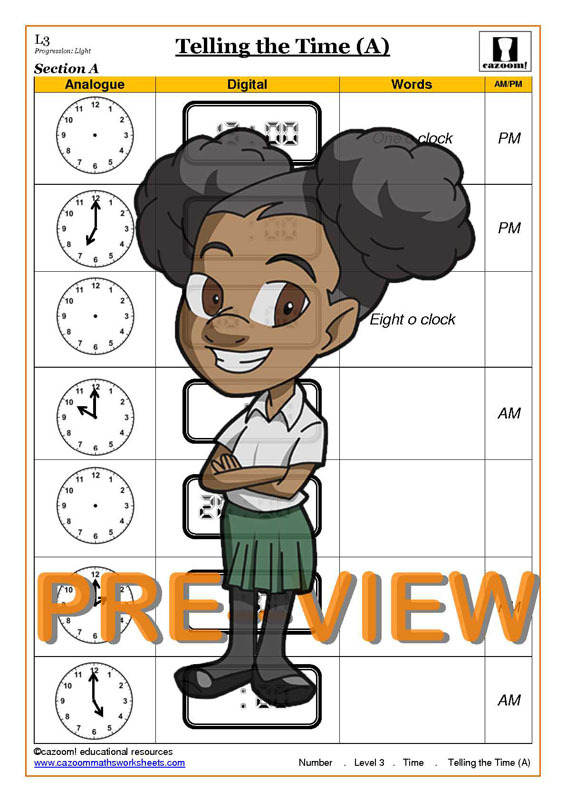 Telling the time is an important skill, so use our time worksheets to help children gain confidence in this area. Having a solid understanding of the time will help children solve more advanced problems in maths and the sciences, as well as being useful in real life. Our resources cover all types of time question students will come across during their time at school, from using the 12-hour and 24-hour clock to converting between different units of time. All of our resources on telling the time present this essential information in a clear and concise manner, and offer plenty of engaging activities for them to practice their skills. 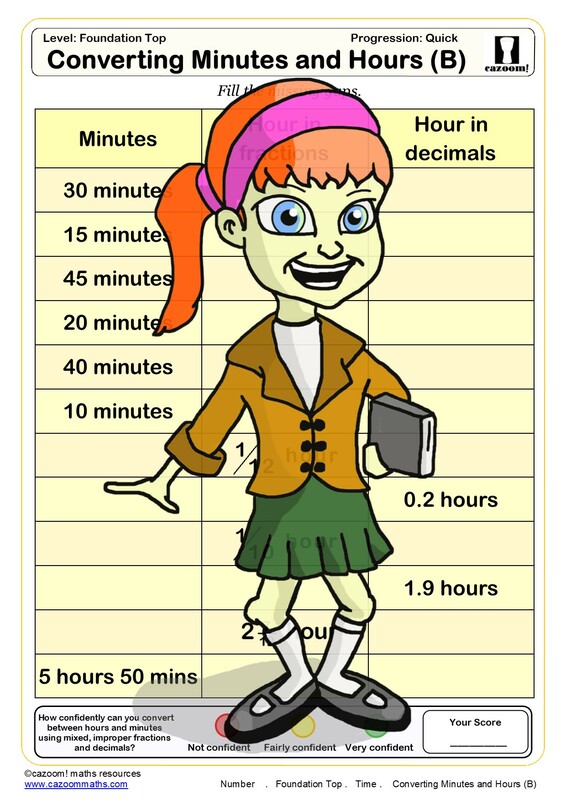 We have resources available to help students of all abilities tell the time and answer time related questions. 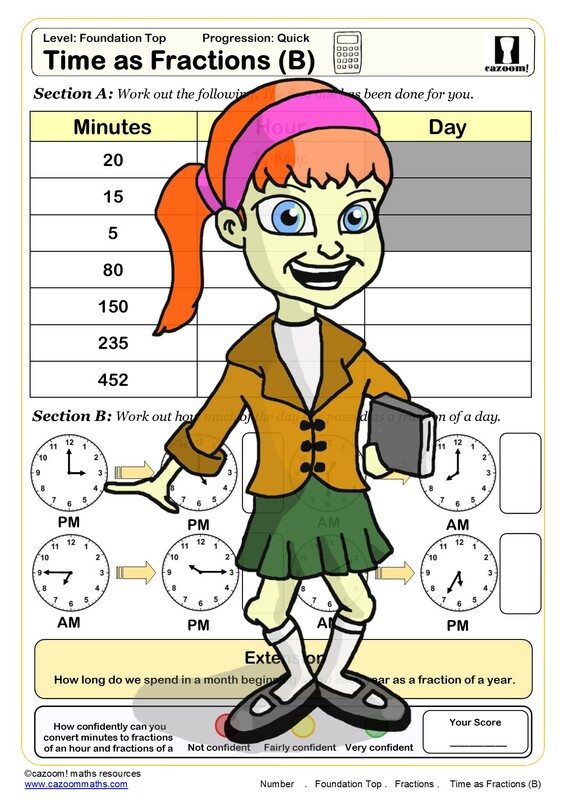 Our time worksheets will guide students through all they need to know about time, including converting times into fractions. 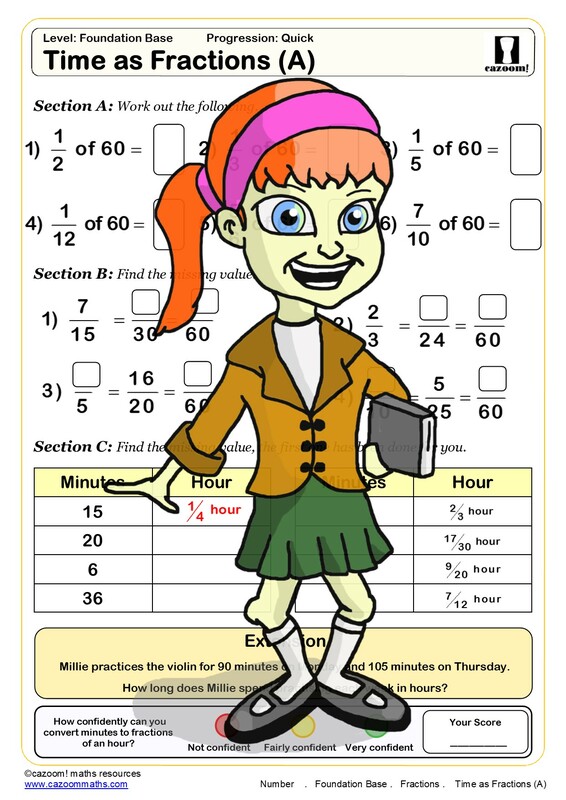 After using the resources available through Cazoom Maths, students will be able to confidently answer any time question they face. Having a solid knowledge of time is a very important skill, both for later life and progression through education. Telling the time is usually taught in the early stages of a child’s education in order to prepare them to confidently use clocks throughout life. The example of an analogue clock is often used to introduce children to the concept of fractions, as a clock face is very clearly divided up into twelve equal parts. The clock acts as a visual representation of what phrases such as ‘quarter to’ and ‘half past’ mean, and helps children to apply the concepts of quarters and halves to other situations or maths questions. Teaching children about time in the early stages of their education helps them to realise just how important time is and how time feeds in to nearly every aspect of our everyday lives. In sport, runners will measure the time it takes to complete a race in order to work out their average speed and assess their performance. For athletes, a knowledge of how to measure time and how to convert between seconds minutes and hours is crucial, and they will use this every day. Time skills are important throughout life, and many teachers and parents say that worksheets are a useful resource to help children master this important concept. 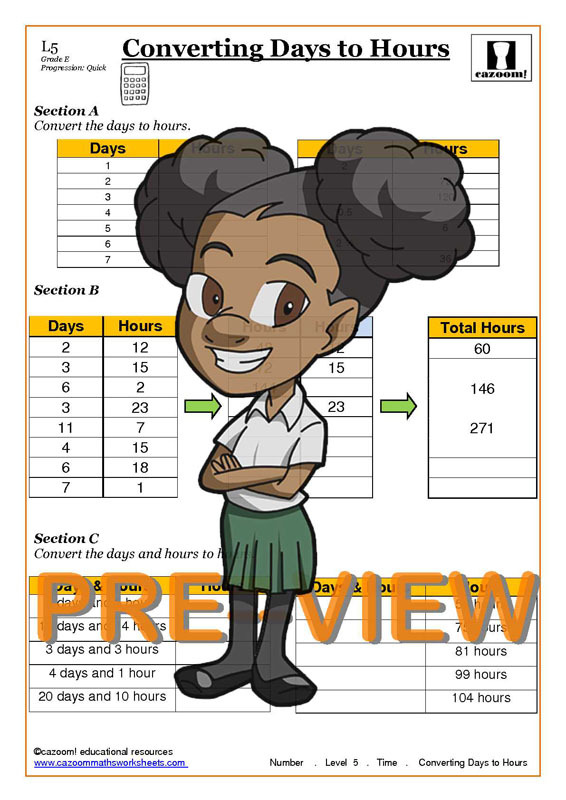 Whether they are just learning how to tell the time, or they are timing an experiment in their science classes, a clearly presented worksheet is a great tool to support other lesson materials or supplement their learning at home.